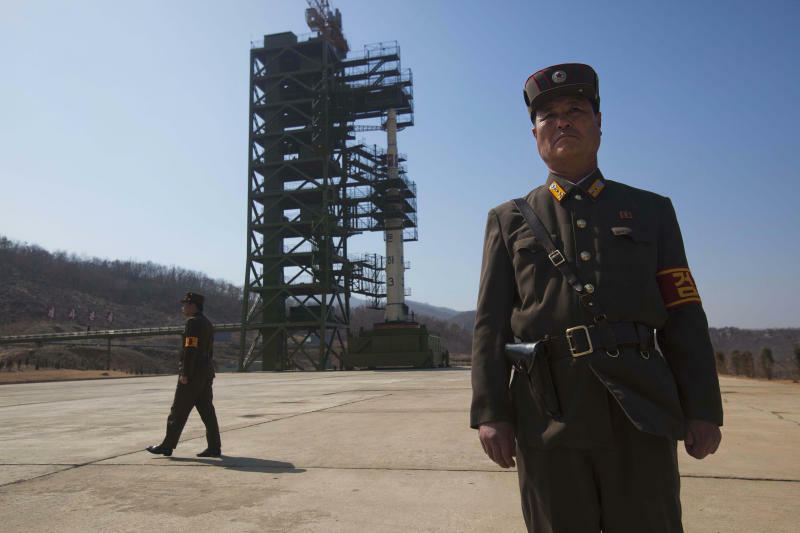 SEOUL, South Korea (AP) — Recent satellite images show North Korea is digging a new tunnel in what appears to be preparation for a third nuclear test, according to South Korean intelligence officials. The excavation at North Korea's northeast Punggye-ri site, where nuclear tests were conducted in 2006 and 2009, is in its final stages, according to a report by intelligence officials that was shared Monday with The Associated Press. Its release comes as North Korea prepares to launch a long-range rocket that Washington and others say is a cover for testing missile technology that could be used to fire on the United States. The Obama administration said Monday it would consider both a rocket launch and an underground nuclear test as highly provocative acts that would leave Pyongyang more isolated. "In each case this would be an indication of North Korea's decision at the leadership level not to take the steps that are necessary to allow North Korea to end its isolation, to rejoin the community of nations and to do something about the extreme poverty and depravation that its people suffer," White House spokesman Jay Carney told a news briefing in Washington. Susan Rice, the U.S. ambassador to the United Nations and current Security Council president, told CNN on Monday that "either or both developments would be a blatant violation of North Korea's international obligations under Security Council resolutions." "In the Security Council in New York, I anticipate that the council would convene to discuss this and to respond in a credible fashion, both to the missile launch and to any potential additional subsequent actions," she said. Observers fear a repeat of 2009, when international criticism of the North's last long-range rocket launch prompted Pyongyang to walk away from nuclear disarmament negotiations and, weeks later, conduct its second nuclear test. A year later, 50 South Korean were killed in attacks blamed on the North. 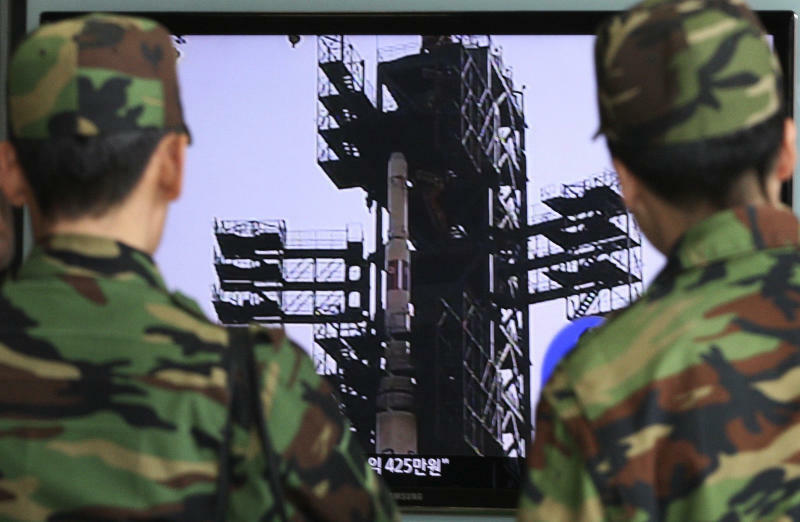 "North Korea is covertly preparing for a third nuclear test, which would be another grave provocation," said the intelligence report, which cited U.S. commercial satellite photos taken April 1. "North Korea is digging up a new underground tunnel at the Punggye-ri nuclear test site, in addition to its existing two underground tunnels, and it has been confirmed that the excavation works are in the final stages." Dirt believed to have been brought from other areas is piled at the tunnel entrance, the report said, something experts say is needed to fill up tunnels before a nuclear test. The dirt indicates a "high possibility" North Korea will stage a nuclear test, the report said, as plugging tunnels was the final step taken during its two previous underground nuclear tests. The only reason to dig a new tunnel at the site would be for a nuclear test, said nuclear expert Whang Joo-ho of South Korea's Kyung Hee University. In nuclear tests conducted by other countries, closing a tunnel with dirt was also the last thing done before detonating an atomic device, he said. North Korea needs a new tunnel for a third nuclear test because much of its two existing tunnels would likely have caved in and become contaminated with radioactive material following its two previous tests, said Ham Hyong-pil, an analyst at the state-run Korea Institute for Defense Analyses in Seoul. U.S. State Department spokeswoman Victoria Nuland told reporters she was not in a position to confirm whether North Korea was preparing for a nuclear test after the rocket launch. She said a launch would be "highly provocative" and a nuclear test "would be equally bad, if not worse." Nuland said the U.S. was urging China to use its influence with North Korea to dissuade it from going ahead with the launch. Asked about Japanese and South Korean preparations to shoot down any parts of the rocket that threaten to fall on their territory, Nuland told reporters that countries in the region have the right to "self-defense." 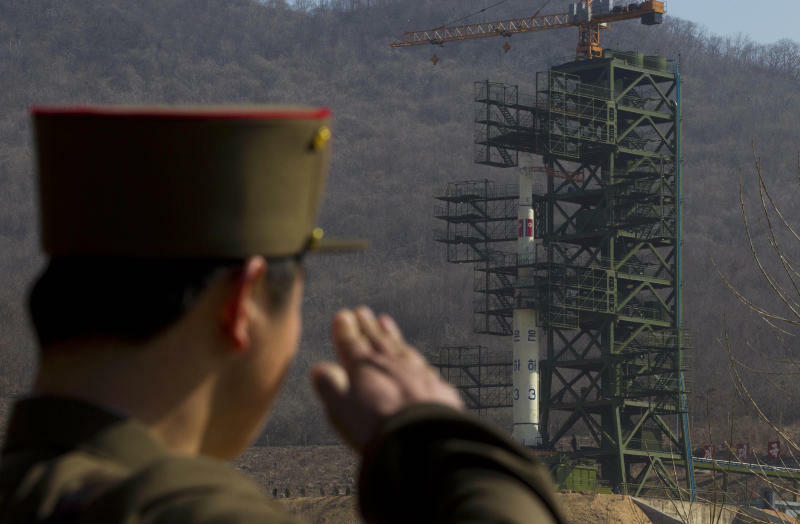 North Korea announced plans last month to launch an observation satellite using a three-stage rocket during mid-April celebrations of the 100th anniversary of the birth of North Korean founder Kim Il Sung. The U.S., Japan, Britain and other nations have urged North Korea to cancel the launch, warning that firing the long-range rocket would violate U.N. resolutions and North Korea's promise to refrain from engaging in nuclear and missile activity. Nuland declined to specify what consequences Pyongyang might face if the launch goes ahead. At the very least, it would ruin a Feb. 29 U.S.-North Korean accord under which the North agreed to a moratorium on nuclear and long-range missile tests and a freeze on its uranium enrichment program in exchange for U.S. food aid.